Section 79 group life insurance benefits offer many advantages. 2. 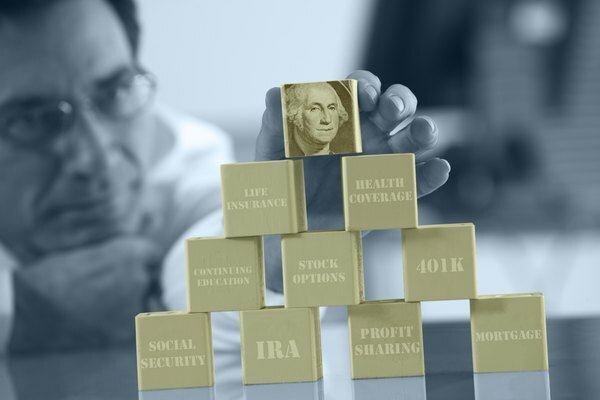 How Is a 401(a) Different From a 401(k)? 3. Can I Contribute to a SIMPLE IRA From a Non Self-employed Income? A Section 79 life insurance plan typically is used to provide group life insurance benefits. The name refers to the U.S. Internal Revenue Code's Section 79, which applies to group term life insurance policies and group health insurance benefits. The policies offer many advantages to employers and employees. The Internal Revenue Code allows job providers to give up to $50,000 per year per person in group life insurance benefits without requiring a contribution from the employee. Recipients sometimes can convert a term life policy to permanent life insurance and enjoy the long-term benefits of having whole life insurance coverage that generates a financial legacy for their heirs through tax-deferred cash growth. Section 79 life insurance policies allow job providers to claim up to 40 percent of the value of employer contributions as a federal tax deduction, which makes them very attractive to employers who want to reduce costs while still rewarding their best workers with life insurance benefits. In some instances, that deduction can be spread out over several tax years, since the distributions to employees are not necessarily the same every year. During years when a larger federal tax deduction would be beneficial for employers, a greater contribution amount might be more desirable for job providers to offset their potential business tax liability. Section 79 life insurance policyholders can take advantage of other benefits beyond the potential for tax-deferred cash growth. Workers can borrow against the cash value of their policies for any reason, and they can convert the policies into whole life plans. Taking out a loan does not affect the credit rating of the policyholder. Most group life insurance policies are annually renewable term life insurance plans with premiums that typically rise each year, but employers can adjust their contribution amounts from one year to the next. When policyholders choose to take out loans against the cash value of their Section 79 life insurance policies, they generally must repay the amount plus a small amount of interest in order to maintain growth of the cash value. While a nominal fee likely would be charged when taking out the cash-value loan, no other money would go to the insurer. If the loan is not repaid, the cash value simply is decreased. Mike Heuer is a seasoned print media journalist with more than 20 years of experience in publishing. A former insurance producer in Nevada, he has been writing about insurance and finance topics for more than six years and enjoys motorcycling. He holds a master's degree in public relations from Michigan State University.